The client, the Bahrain Airport Company, recently successfully commissioned the first of 18 Pre-conditioned Air (PCAir) units at the Cavotec Fladung facility in Germany. 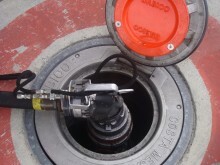 We expect the final commissioning phase to take place as planned, during Spring 2011. Our PCAir systems form the centrepiece of this project, one of the largest in Cavotec’s history with a total value of some €30 million. We are also delivering and installingpop-up units, transformer sub-stations, 400Hz power supply systems, a Vacuum Evacuation System, a blue water supply system and a potable water supply system. While PCAir itself is a highly innovative system, the concept draws together proven and tested engineering expertise from, among others, Alfa Laval and Atlas Copco. 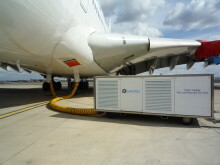 The system expands dry compressed air to cool parked aircraft. Pilots often run on-board auxiliary power units (APUs) to cool aircraft. 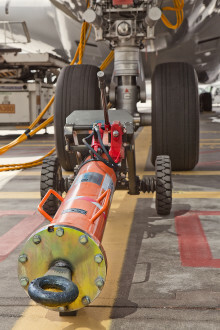 These units can burn between 200 and 600 litres of fuel per hour, polluting airports and consuming fuel that could be used to fly aircraft – not cool them on the ground. 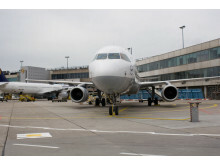 It supports airports in creating APU-free aprons, providing the dual benefits of reducing pollution and reducing costs, making the system beneficial to all airport constituencies: airlines, airport operators, and communities surrounding airports. 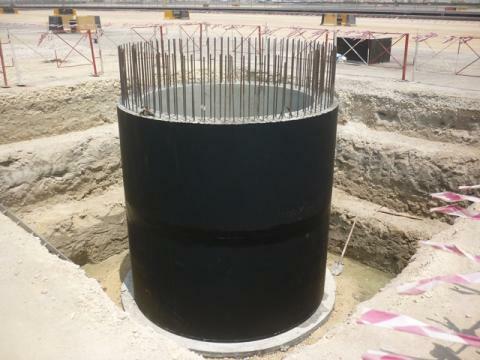 The Bahrain order is a key element of the airport’s USD 4.7 billion expansion programme, designed to cater for the projected growth in passenger and freight numbers. The expansion, planned over the next 30 years, will triple passenger capacity to 27 million a year. Two new terminals will be opened in the next four years as part of the expansion. Bahrain’s expansion programme will see the creation of 110 aircraft stands, including 87 with contact gates. Bahrain International Airport currently hosts 42 airlines and is home to Bahrain’s Gulf Air and Bahrain Air.